The Resident Guest Scheme (RGS) is designed to encourage foreign investors in Sri Lanka. It offers a package of incentives to investors who wish to contribute to the social and economic development of Sri Lanka. The Implementing Agency for the RGS is located at the head office of the Department of Immigration and Emigration (DI&E) in Colombo. To apply for this visa , you can find application forms at this office, at a Sri Lankan embassy abroad or online to download. People applying for an investor category visa will need to deposit a minimum of US$250,000 or equivalent in a special account in one of the banks approved by the Central Bank of Sri Lanka. If you intend to start an investment project with another foreign partner or partners, each person must deposit a minimum of US$250,000 or equivalent in a valid currency. For each dependant accompanying an investor, an extra US$35,000 should be deposited. In addition to the initial deposits, the investor will need to regularly deposit sufficient funds to support himself and any family members. The money intended for investment in Sri Lanka must be used for an approved project. If no progress is made by the visa holder within the first two years of residency, the Implementing Agency can cease interest payments on the balance of the special account of the investor. New ventures approved by the Board of Investment (BOI) or a relevant authority. The BOI will provide assistance to foreign investors who wish to identify and invest in Sri Lanka. Professionals who wish to reside in Sri Lanka under this visa will need to make monthly deposits of US$2,000 into a special bank account. For any dependants, including a spouse, further deposits of US$1,000 must be made each month. Notify the Implementing Agency of any changes to the information submitted in the original application within two months of the change. By applying for this visa you are entitled to bring your spouse, any children and your parents or the parents of your spouse. Give the Implementing Agency two months written notice of their intention to terminate the investment project / professional service. Notify the relevant authority 14 days before their intended departure after the termination of the investment project. Visa applicants will be required to undergo a medical exam and submit a report. Four copies of the application must be submitted to a Sri Lankan embassy. If there is no Sri Lankan embassy near you then you must ask a friend, relative or agent in Sri Lanka to apply for the visa on your behalf. 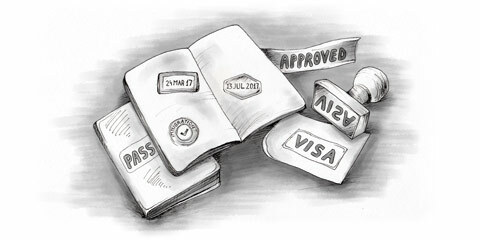 If you wish to extend your RGS visa after five years, you must apply to the DI&E. You will need to provide proof of the satisfactory performance of any investments or projects as well as bank statements. Documented evidence from the Department of Inland Revenue and a recommendation from the BOI, in the case of tax exempt projects, must be produced with the renewal application.